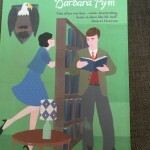 This entry was posted in English Literature and tagged Barbara Pym, No Fond Return of Love, Virago Modern Classics by Simon Lavery. Bookmark the permalink. Oh, this sounds delightful, Simon. A good follow-on read from Excellent Women. I think we must have the same set of three VMC editions from The Book People – these two plus Crampton Hodnet. I didn’t enjoy NFROL as much as E Women, I must admit, perhaps because the style and left-field approach was more familiar to me, but it’s still an entertaining and enjoyable read. Much less whimsical and frothy than it might seem when summarised or skimmed through: there’s a steely edge to the comedy, as in Beckett, perhaps – though without quite as much weltschmerz. Yes, I did buy the amazing set of three on offer from Book People – along with E Wharton, B Comyns (both subsequently reviewed here! Still working through them), Hemingway and E O’Brien. The offers were too good to miss. Shame I didn’t go for the Elizabeth Taylor set when they had it…Still haven’t read her, but will do one day. Once I finish the Wharton, Comyns, etc etc! Thanks as ever for the visit, comment and RTs on Twitter. Greatly appreciated. I adore Pym, and have for years and years (one day I’ll tell the tale of how I first encountered many of my (still) favourite authors on my blog). 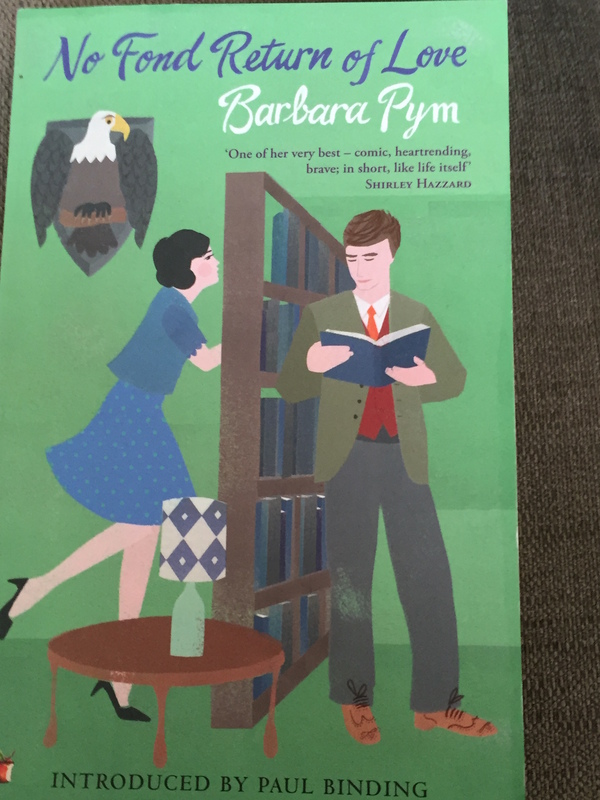 We read through the whole of Pym in an online group I’m in a while ago, and it was lovely to revisit her for a whole year (we did Elizabeth Taylor, too). Love the blog header image, by the way. I experimented briefly with publishing my written journals instead of typed book reviews! I have several blogs, so I have been combining two books in one post for a while now so as not to be giving people my blog posts every day! I do try to find a link between the two books I write about, too, which can be fun. Murdoch is a funny one, some love, some hate. If you want to start her, I can offer some recommendations – The Sea, The Sea or men often like The Black Prince. A Severed Head is very funny and might appeal, as it has aspects of drawing room comedy. Liz: I quite like the idea of two books in one post; like you, I don’t always write up everything I read, so this would be a more economical way of going about things. My last few posts were rather dashed off; usually they take a long time to gestate and then get drafted. Thanks for the recommendations. Don’t think I’ve read any IM apart from her first, Under the Net, many years ago, so don’t remember much about it now, except that it was very witty. It does sound very good, but perhaps I should read Excellent Women next. I did love A Glass of Blessings, so a second Pym would be good to try. Max, sorry about the delay in replying – just got back from work. As I said in the post, I preferred EW to NFROL, and would definitely recommend it. Probably more quintessentially Pym, with more vicars,etc. Dulcie is quite atypical in her lack of interest in Anglo-Catholicism. BP is a fine writer, though.